First, a baby update: no baby yet! I’m past 38 weeks now and definitely getting excited for baby’s arrival. I still feel like I have a lot of things on my to-do list that I’d ideally like to get done before I go into labor, but I’ve also entered a stage of acceptance that, ready or not, when the baby arrives, we’ll carry on with life even if the fridge isn’t fully stocked and the floors haven’t been mopped. However, one thing on my to-do list is this post, because I wanted to share with you a new parenting book that came at just the right time for me, and I think you’ll find it particularly helpful in the midst of the holiday craziness. The book is Parenting in the Present Moment: How to Stay Focused on What Really Matters by Dr. Carla Naumburg, published in October by Parallax Press. I received a free review copy of the book, but as always, I only review books that I love and can whole-heartedly recommend (more on my review policy here). I have loved this book so much that I’ve already purchased several more copies to pass on to friends. The last month or so has been really busy with copy-editing my own book and finishing up the college teaching term. A 3-week-long cold hit my late pregnancy body like a freight train in the middle of that, and I felt like I was barely getting to the most urgent tasks each day while my to-do list piled up around me. But every night, I would read a few pages of Parenting in the Present Moment before crashing into sleep, and I would feel like I could accept how that day had gone and reset my intention for parenting and for caring for myself for the next day. First of all, I absolutely love the cover of this book. It speaks perfectly to the content of the book and one of the greatest challenges of parenting: maintaining balance even while your agile offspring challenge it. As a side note, something similar seems to happen to me almost daily: I squat down to pick something up, in a graceful way that only a 38-week-pregnant woman can manage, and my daughter comes up behind me to give me a surprise “hug,” which sends me teetering off balance. Just seeing that photo makes me smile and feel motherhood has always been this way, regardless of the species, and I’m doing okay. This book is about parenting with mindfulness. What is mindfulness? Naumburg explains, “Mindfulness is about making a choice, over and over again, to pay attention to whatever is happening in the present moment without judging it or wishing it was different.” Really paying attention to what is happening with our kids and in our own minds can help us come back to the present moment and respond intentionally and effectively, with kindness and compassion for our children and ourselves. One of the first, and to me, most important, lessons of Parenting in the Present Moment is that parenting is a practice. Mindfulness isn’t something that you achieve and then carry with you for the rest of your life, like a badge of honor or a graduate degree. It takes work every day, but that also means that there is always room to try again or to try in another way. Over time, pieces of it get easier, and new challenges emerge, but we have to keep approaching it whole-heartedly, with as much attention and kindness as we can. Because we’re being mindful – paying attention – we can notice our mistakes. But because we are approaching parenting as a practice, we don’t need to beat ourselves up over our failures (which are inevitable). Rather, we can thoughtfully modify our approach in a way that suits our kids and us. I can relate to this concept because I’ve practiced yoga for 15 years now, but I don’t consider myself an expert in yoga any more than I would ever call myself an expert in parenting. I’ve learned to always come to the yoga mat with humility and acceptance, with an intention to pay attention to my body and breath in each moment rather than to attaining some idealized form of a pose or unwavering balance or superior grace when compared with the person practicing next to me. (These lessons, by the way, are even more apparent when practicing yoga at 38 weeks pregnant.) Over the last few years, I’ve come to see writing as a practice as well – one that requires pages and pages of clumsy attempts and never anything approaching perfection. But it is my practice, mine to build, mine to learn from, and mine to share. So it is with parenting, too. I’ve found so much wisdom in this book, but Naumburg does a wonderful job of imparting it not as some kind of guru or expert but as a humble parent. She holds a PhD in Clinical Social Work and is clearly well-studied and practiced in mindfulness, but she’s in the trenches raising two young kids with the rest of us. She tells us about her mistakes and assures us that she continues to make them. Parenting is a practice for her, too, and that makes her an authentic and friendly guide. Nearly any difficult thing we do, parenting included, could benefit from that sequence. When we do it, we are also modeling how to stay grounded to our kids. I’m learning that mindful parenting is all about acceptance, and that’s something that I know I’m going to have to practice in this coming transition of a new baby. I’m going to have to accept all of the ways that my life will change, acknowledging that many will be temporary (such as the lack of sleep) but also that nothing will ever be the same. I’m going to have to acknowledge and accept, with as little judgment as possible, when Cee inevitably struggles with this transition, as I’m sure she will in some way. I’m going to have to work on staying connected with her as I build connections with and care for this new member of our family. And I’m going to have to work on staying grounded and finding ways to care for myself even while my family responsibilities increase. I’m glad to have Parenting in the Present Moment as a guide during this time. 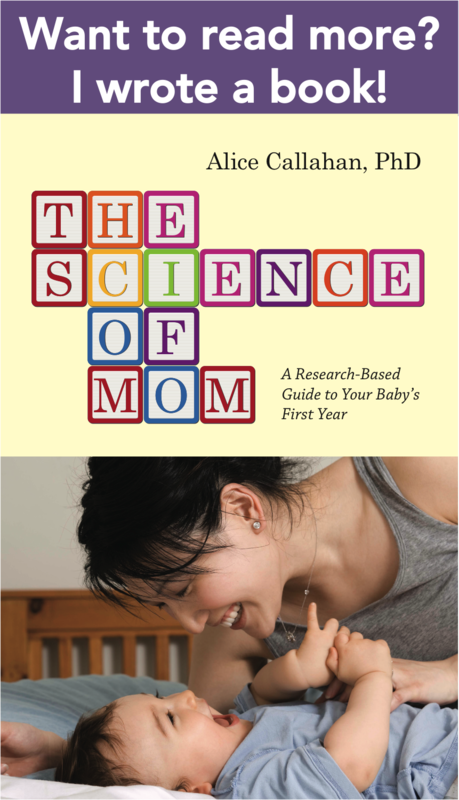 Parallax Press is offering a giveaway of three copies of Parenting in the Present Moment to Science of Mom readers. To enter the giveaway, leave a comment below with one way – big or small – that you manage to stay connected, grounded, or present with your children or with yourself. I’d especially love to hear your experiences with this around the birth of a new baby! I’ll close the giveaway in a week, on December 24, 2014. And in case I don’t get another chance to say it, warm wishes to you all this holiday season. Thanks for sticking with me through what has been a tough, rough, and beautiful year. Lots of love to you and your families. Oh man, this topic is so relevant for me! As a yoga practitioner and teacher taking time off to stay at home for the first year of my son’s life, I feel like everything I practiced on my yoga and meditation mat was preparation for parenting. Literally! All the theory and lectures, breathing practice, asana practice and chanting, has led me to apply it in the real life laboratory of infanthood. Namely, surrendering, letting go, opening my heart, devoting more presence and patience than I thought possible: having this little one redefine what it means to have a yoga and spiritual practice. My spiritual practice is found in the quotidian tasks of baby care, the diaper changes, the nighttime feedings. In getting thrown off my center and getting it back again, over and over. In falling apart during moments of frustration and falling in love during moments of reflection. Parenting is a practice, you bet it is! Warm wishes to you too for the holiday season! Love this! Becoming a mom radically changed my yoga practice (and yoga has certainly influenced my parenting too). I value it and savor it more, even as it is much much harder to fit into my life, and I’m also much more attuned to my body and all its changes over the last 5 years. What a thought-provoking blog. This topic resonates deeply with me. Being a parent of one busy boy was a huge joyous learning curve… But when 3 years later we added a second BUSY boy to the mix it was a transition no one could have prepared me for. I returned to work this fall and our eldest started kindergarten… More tansitions! Every day is a struggle and learning opportunity about balance; and about focusing on what matters most. It’s hard to let go of wanting the house to be clean and tidy but I’m learning that getting down on the floor and playing with my kids is much much more important than sweeping/vacuuming said floor! Thank you for the reminder as well! I’d be interested in reading Parenting in the Present. I have a three and a half year old and an eight month old, and have really been trying to work on staying present and connected with them – so this book is right up my alley! It’s definitely something requiring ongoing practice and attention and I feel I have a long way to go! In the early weeks after my second child was born, it helped to make a point of having one on one time with my eldest every day, even just 5 mins for a story and cuddle. I also talked with her and involved her in caring for the baby – eg she would get a clean nappy and hand it to me when I was changing the baby’s nappy – I think this helped her to feel involved with and part of things. I’m definitely not succeeding in the “mindfulness” department – especially when my almost-three-year-old is whining or crying for no apparent reason. But I would like to engage in this practice, because I truly believe it has a lot of value. This reminds me to re-prioritize yoga, and to check out this book. I’m a first time mom and graduate student working on my dissertation while also staying home with my 7 month old. This is a particularly difficult issue for me! For now, find that breastfeeding is one way for me to momentarily let go of my career anxieties, reset, and focus fully on the present moment. It is a reminder that she needs me to be calm and focused on her (and myself), and gives me the space to reflect on what is really important. When I need to ground myself I take a bath, a nice long, soaking bath with a good book. It always seems to refresh me. I have lots of work to do on mindfulness though. I am 39 weeks pregnant, but I stay grounded by going to the gym. It is “me time,” and my goal is to continue finding ways to get there consistently after the little guy is born. I like parenting as practice! I have good days and bad days. On the good days I’m not multi-tasking and am really listening to my daughter. On the bad days, well… let’s just say I could benefit from reading the book. Lately, I am just trying to remember all the progress my son has made. When he is banging on the window for the 100th time, I remember that a few months ago he finished each meal by throwing all the rest of the food on the floor. Now he says “all done” and hands me his plate. I also just refocus him (and myself!) on something else and just move on. Or I lose my cool and get hubby to take over while I take a break. That happens a lot, too. This book sounds great. One way that I have been able to stay present with my 3-year-old is that I always let him stop to play at the playground at the Y after my workout. Rain or shine. Heat or cold. At this playground stop, I always leave my phone in the car. It insures 2 things: 1) I am focused on my son and 2) I am more likely to chat with other moms on the playground and grow my friendships with moms in the same life stage. It look us four years to get our little guy, and about halfway through that time, I took joined a mind/body infertility support group. It was definitely a big silver lining to our long unhappy journey, both because of the lovely women I met (many of whom happened to finally get pregnant around the same time as I did, and are now my “mommy friends”) and because it got me into the habit of slowing down to appreciate small, nice things every day. And with a now one year old, there are lots of small nice things to appreciate! And whenever I’m exhausted or frustrated, or bored with being pinned down nursing, I think back to just *how much* we wanted him, and how having him around is better than we ever dreamed. Sigh. I’m typing this at work, and just thinking it makes me want to run home and give him a squeeze! As my four month old boy enters his ‘wakefulness’ period, the sleeping groove we had recently found has been changed. He and I find frustrations and joys together as he gains new ground making new sounds and controlling his movements, while I learn to take deep breaths in times of little sleep and a long ‘to-do’ list. Each day challenges me to become stronger, in so many ways, and when I feel my patience wearing thin learning to focus on the task at hand has been a necessary therapy. I look forward to this book and thank you for your insight and thoughts during such a busy time! Congrats, Daphne! You are one of our randomly selected winners for the giveaway! I’ve sent you an email. Hope that you enjoy the book! This sounds like a super book. My favorite way to stay present and connected with my daughter and spouse has been our bedtime “group hug.” My 3 year old started it and while we all gave a squeeze with her standing in her crib and us towering over, she’d look up at us and say, “now let me see your faces.” She’d then step back and look up at us, eye to eye, and gaze lovingly and quietly, and from her I learned to do the same. Now each night I try to really look at her and find a moment to really just be with her in that moment, even after a busy day when I’m often anxious to begin winding down myself. It’s been a great source of peace and is a practice I hope to continue daily, even as she grows up! My hardest moments come between 5-6pm every night when I am trying to feed the crew, handle the last work emails of the day and manage my toddler. More often than not, I’m not very mindful at all, but when I stop to listen to my daughter’s requests (a hug, run with me, mama!) I find it changes the whole complexion of the evening and things somehow get more peaceful and enjoyable for everyone. This books sounds like it is much needed at my house! sounds like a wonderful book! I struggle with being present and in the moment when I am with the kids, and have a lot to learn. Our biggest challenge when our second daughter was born was not taking care of her, but having enough patience for our older daughter (4 yo at the time). No matter what, i try to take a moment at bedtime to just be there for the kids, and that seems to make a huge difference for them. Focusing on the little things – smiles, new accomplishments, funny eyebrow lifts, the most adorable “talking” from my 6 month old! This is so great! I’ve only recently started integrating mindfulness into my parenting as I’ve been practicing it for my next birth, inspired by “mindful birthing” a book that teaches mindfulness meditation for so much more than birthing. It would be awesome to add this book to my collection as well. I guess the biggest thing I’ve been doing lately is reminding myself to really look at my kids when they’re talking to me, to hold their faces in my sight and be reminded that these thoughts they are having are brand new to them, even if I’ve heard them a million times. For myself, I try to get to restorive yoga classes that encourage that same mindfulness practice. Some classes my mind is everywhere all class but I am able to be calm on my way home. With my almost year old son it can be trickier. Sometimes it’s easy to be present. He is funny and creative. Other times I’m just burnt out. I try to make sure I put the phone away and really focus on whatever til I’m doing with him instead of multitasking. This usually involves making up a song to go with the task. This book sounds amazing. I am in need of creating a library of titles I can refer parents to. I work with adolescent patients rather than younger children, but teaching parents “mindfulness” in their parenting makes lots of sense to me, no matter the age of the children. And I can always use more mindfulness in my own life with my two little ones. I do a short mindfulness meditation whenever my little one naps, it helps me stay present with not just baby but my partner as well. This sounds like a great read. I love the point about parenting as practice. It reminds me that many of the Big Decisions in life (marriage/life commitment, forgiveness, approaches to parenting) aren’t one-offs, but things we need to practice every day. On the one hand, that’s what makes them hard, but on the other hand, we get to continually improve, recover from stumbles, and take things day by day. When I was a demoralized, sleep-deprived, first-time parent of a (fussy) newborn, I tried to find one instance of connection each day, whether is was skin-to-skin nursing, cuddling while listening to some music, or a pleasant walk outside, to focus on during the marathon crying spells. And while social media can provide a crucial link to the outside world during the early days, I find unplugging to be crucial now in forging mindful connections with my toddler! This has been a tough one for me, especially since to tend to multitask using my phone. Sometimes my son (almost a year) will move his face directly in front of mine. Lately when I get too distracted and short with him I make sure I put everything else down and focus on what he’s communicating. Sometimes I make up a song to go with the task that isn’t going well. For example, he loses focus often during day time nursing so I sing “milk is good, milk is yummy”. It’s hard to be present at times –I was so used to quiet and my own time. I’d like to get better at this because I feel like I miss out on things. I have found that I always feel more present with my three and four-year-old when we go outside for what I call a “toddle” instead of a hike. The important part is that I let go of any goal like a destination or distance and just let them muck about as they will, playing in mud, building animal houses, climbing trees, etc. They have more fun and I do a better job of appreciating nature the way they do, rather than forcing them to conform to my agenda. After our son was born, prematurely and by c-section due to his breach position, I wanted to get everything right, perhaps to “make up” for this. Breastfeeding started well, but with reflux he just wasn’t getting enough. Nurses told me to keep at it, and I did, for months. At 4 months, I felt like a hostage to it all and realised that I resented feeding him and that I was so tired I barely spoke to him. Something had to change. We started with solids after seeing our family doctor later that month, and formula. I realised that my stubborness about doing the “right” thing had led me to a dead end and it wasn’t good for anyone. I let go of my fear of failure and weaned him on to a bottle and started the journey of pureed food covering everything (including the back of the dogs who hovered near the high chair). I let go, decided to enjoy the situation as it was, and started smiling again. Our boy also started thriving and became that happy, content baby. I realised I was suddenly enjoying my time with him, and that being present and grateful had a bigger and more positive impact on us both than wether I was the earth mother I had wished to be or not. Letting go of your own expectations of how you SHOULD be as a parent is hard, but I think it’s key to figuring out how to be the parent you need to be and to enjoy the now. I’m almost in my third trimester and expecting my first baby. Initially it was easy to stop and pay attention to the baby because everything was so novel, but now that the business of the season has picked up I don’t do that as much. Usually the way I try to be intentional and present in our time together is getting into bed a bit early (or laying in bed a bit longer in the morning) and just feeling all the kicks and movements baby is doing. Acknowledging a movement with my voice or my hand seems to be a little way for us to connect at this point. With a new baby and returning to work, I have really struggled with this. I am very OCD and like to have everything organized and in it’s place, but I have learned that I just have to let some things go, that my baby is far more important than a clean kitchen or folded laundry. Those can be done at any time, but these moments with her as she grows and changes cannot be replaced, if I miss them, they will be gone forever. Thank you for the chance for the giveaway; no matter what, this book will be making its way to my home, giveaway or not. I have 14 mo old twins. They were a BIG surprise, I still wasn’t sure I wanted to have children. Now I have two. It’s been an adjustment, still is. It took me a while to feel connected to them after they were born. I ended up seeing a counselor, who suggested taking a bath with them and just try enjoying them, looking at them, soaking them in. That may come natural to some people with a new baby, but it didn’t with me. Trying that helped a lot. I know feel more connected to them, but I definitely still find them frustrating. From the sounds of it, I think this book might help. As a mental health practitioner I’ve worked hard to model mindfulness practice for my clients, but have found that my first pregnancy has brought on new stresses that I never expected. I think this topic and especially using deep breathing and forgiveness of ones self are incredibly important to my new role as a mom. I’m hopeful that even in reading this post I’ll continue to remind myself of the importance of mindfulness in my daily life especially as I hear that time continues to go faster and faster once you have children! We do a Friday night meal together every week. No matter what, Friday night is family time. It really helps to bring us together and refocus us at the end of what are mostly frantic, busy, long weeks. Keeping a to-do list. I know that sounds contradictory, but when I can check off a few things first thing in the morning or at night before I clear my head than I can start the day with a clear mind and concentrate on my son. When I increased working from 4 days a week to 5 days a week I have to remind myself to stop and sit down with my son more on the weekends or he’ll yell at me “nobody is cuddling me”. As a social worker and mother to twin 2.5 year olds, everyday I strive to connect to not only my kids but to myself as a woman, wife and worker. To turn my focus toward my kids when they need me to be present, to practice breathing and accepting moments where i feel i might explode or react in a way that might not be effective or helpful. Mindfulness even thought it’s hard work, I think pays off and id love to learn more in Carlas book to continue becoming more grounded. Good to hear from you! And sorry to hear about your cold – so awful when pregnant! As another (sometimes) yoga practitioner, I too find it helpful to take each day as “practice.” Our little one (now 13 months) made it clear from day one that taking care of her was as much about training ourselves to be parents as anything. These days, as she moves into toddler testing and tantrums, my mantra (learned from an RIE parenting blog) is “She’s not giving me a hard time; she’s having a hard time.” Learning to not take her moods personally has been really hard… but also really helpful. Sitting quietly next to her in a mood of patient expectancy when she rages over something, rather than trying to “fix” her, really helps me deal with what would otherwise be a very frustrating situation. I really could use this right now. I have been struggling with being more present. This sounds like a fantastic book. I have a 2.5 year old and am pregnant with my second child. I find myself saying, “One thing at a time,” when my toddler asks for a million things at once. I feel like taking each request, each step in getting ready for the day, each meltdown one at a time helps me focus on that moment. We had a little boy in Jan 2012 followed closely by a little girl in April 2013. Being just 15 month apart in age was so tough. The day we brought baby girl home from the hospital, baby boy came down with a terrible stomach bug. I was nervous before baby girl was born about how we would transition to 2 babies instead of 1. During those first very hard long days at home with 2 children, I was a trainwreck. Post-pregnancy hormones, exhaustion, and stress left me sobbing in a heap on the couch. I’ve never been one to ask for help, but at that point we needed it badly. After I pulled myself together, hubby called in my mom and we all changed our shirts alot to ensure the 3 day old wasn’t lying against a shirt that had just held her sick brother. Looking back, I know God gave me one of my biggest parenting challenges at that moment to humble me and let me know that it’s okay to ask for help. I also say that after those first few very hard days I knew I could handle anything the regular routine could throw at me. The key is to stop, take a breath, assess the situatioin, and react purposely. Sometimes that’s easier said than done, but we try. Would love to read more about this topic, it is hard as a first time mom you want to do your best and sometimes without realizing it you are missing the present. I’ve learn to let go of little details and try to focus on my growing baby. She is 5 months old and I’ve been back to work for two months now. For me, and for my son, deep breathing and taking time to sit together quietly makes all the difference in staying grounded and connected. I’d so love to learn more techniques and gain insights from this book. Thank you for your always thoughtful, always helpful blog posts. Can’t wait for your book to come out, too! I’ve been known to give myself time-outs, so I can calm down and reassess how I’m reacting to my toddler. As often as possible, I try to observe without judgement. The inspiration came from Janet Lansbury’s RIE blog. I’ve been nannying a 6 month old and I particularly try to do this when she is trying to go to sleep and crying. With my child, the crying would quickly rack up my nerves (which I’m sure didn’t help him!). Now I look at crying as normal (from your blog post about sleep and crying) and observe what kind of reaction she might or might not be looking for – is she trying to work through it herself? Does she want me to pick her up and give her more cuddles? I try to relax and read her and be present. It is a lot easier and lots of fun to observe play in the same way – just sit and watch, and be present. It is incredible to watch the brilliant minds of our babes at work. I am going to have to read this book. I definitely think I have been practicing mindfulness much more as the things that use to unravel me aren’t. However as we head to toddlerhood there are new challenges and we just moved to a new country for the second time in my babies life. Once again I find myself unravelling. I want to be ever present and be able to connect with my child. This is definitely a book I will need to get and read through immediately. At the moment dancing with my sweet two year old gets us both to relax and everything seems much more manageable after some fun. For all the other times deep deep breathes! We have a baby on the way and staying as present as possible is a huge goal for me. One strategy I use to stay present is to observe my own feelings rather than let them carry me away. Especially right now at 34 weeks pregnant sometimes I am suddenly very upset and it’s very helpful to examine the feelings to learn about myself versus believing that whatever outside situation I’m reacting to is really the cause. staying connected with my daughter to me means truly being present by continually asking her to share with me how her day went, even if it’s her favorite part of the day to who she sat by at lunch. Being present enough to genuinely care about her feelings, choices or fears. Continually growing together in our relationship and learning new things about one another each and every day. She truly is my best teacher and being a mom is the best gift I have ever received. i try to take the time to listen in and breathe…. I try to keep all my own screens off (phone, laptop, nook…) when the kids are in the room. Thanks, this was as always lovely and hit close to home. I don’t pretend to be an expert, but one thing that helps me to maintain sanity and be more able to be present is waking up early – I love to have a few moments to myself to slowly wake up and get ready for my day before I have to get anyone else ready. Some mornings this looks like a trip to the gym or yoga, on a rare morning it’s reading the paper or a book, but most mornings its just a solo shower and having a few quiet minutes to do my work so that when everyone’s up I can be present, engage and not worry about the to-do list. I’m a grandmother, I care for my 1 year old granddaughter two days a week. I’m so impressed that mindfulness has entered the parenting conversation. My tip is that when you are loosing it, then sit down, right there on the floor if needed, identify your own feeling and babies feelings(use words out loud if you need), accept that all feeling are acceptable. e.g.”It’s OK, I’m frustrated and you’re angry, it’s OK it’s OK its OK, really focus on ‘it’s OK’.” Rock or sway gently if needed. Remember you are both doing the best that you can. My second child is two months old, and leading up to her birth was quite the mental battle for me. I wanted her here, I was trying to savor the last few weeks with my son as an only child, I was tired, I felt ginormous…. etc. etc. etc. Then and during the past two months, I’ve just been trying to celebrate the small successes. Like, hey, I actually loaded and ran the dishwasher today, AND I put a batch of laundry through the washer/dryer. Or, you know, I read 10 books with my son today (three of them were repeats of “One Fish, Two Fish, Red Fish, Blue Fish, but hey. It was still 10). Or even, well, all I have the energy to make for dinner is ramen, but I put baby carrots with it. That’s a vegetable! For me, it’s not that I feel complacent that I’m where I want to be as a wife and mother, but instead I’m focusing on the good that is happening, and letting progress come bit by bit. Good luck in these coming weeks, Alice. We are all cheering you on as you enter a new chapter of motherhood. Your children are so lucky to be able to call you their mom. I find breastfeeding and baby massage bring me back to communicating and enjoying the present moment with my baby, particularly when I am feeling distant or frustrated or tired. My easiest distraction is the internet, and I now keep my phone on silent so it doesn’t call me away. I like to say to myself (and sometimes to my two-year-old), “Wow! So many big feelings in such a small little body!”. It helps me appreciate how hard it must be to be two, to move away from judgement about whatever the feelings of the moment might be, and to refocus on my role as not just mom but as a coach for helping him learn how to manage his feelings, get what he needs, feel understood, and still be a civilized little human all at the same time. Hard work indeed. Congrats, Krista! You are one of our randomly selected winners for the giveaway! I’ve sent you an email. Hope that you enjoy the book! This is such an amazing topic. I find myself meditating most during pumping sessions at work. We all have love/hate relationships with our pumps, but meditating while I pump helps me be at peace with however much I get–which is never enough! I really needed to read this after a day like today…actually, after such a difficult month with my 11-month-old being constantly sick and my 3 1/2-year-old wanting more of my attention because I was so preoccupied with his sister. Lately, the moments that help us connect are when I sing songs (mostly Christmas songs these days) and tell stories to them. Recently, my son started requesting storytelling over book reading, and I’ve exhausted the fables/fairy tales I could tell from memory, so I’ve been making up silly stories, using the same characters or even including him, his sister, and us in the stories. They’re pretty ridiculous and repetitive (it’s challenging to make up stories on the spot! 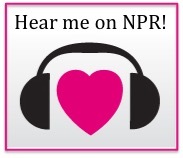 ), but he loves them and especially wants to hear them at bedtime now. Telling the stories helps me laugh and lighten my mood too. I definitely need to check this book out, though, because I really need to work on mindfulness and acceptance, as well as remembering to take care of myself. Thank you for this book review! I could do a much better job of staying grounded, so this topic is quite timely. One thing I like to do to stay more grounded and connected is to read a good book. I find that it takes me away from my problems yet when I finish I feel better afterwards (and more ready to tackle problems). Just read this while my almost-five-month-old played on the ground next to me… guilty! It’s so hard being mindful and connected when you’re just so, so bone tired. As a single mom, dealing with divorce , custody , financial problems, employment challenges and parenting !! Its hard ..very hard…to stay in the present. But then, I also realize that its the most important thing I need right now. A small prayer and faith in God helps. Then again with everything going south, faith also gets shaken at times! but I go back and pray as thats one thing that works. Any baby yet! Can’t wait to read your book! Love love love your blog. I’m too late for the giveaway.. But I am definitely going to check out this book. To share the biggest thing I have done is give up Facebook. It helps me feel so much more present in so many facets of my life. Bloggerhood Etc. 12/22/14 | Fatherhood Etc.